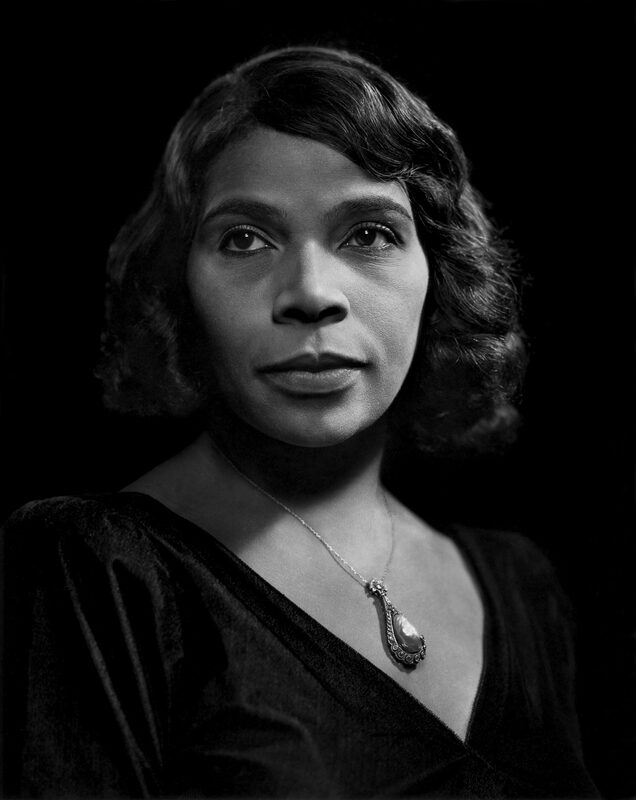 Marian Anderson had sung across Europe, to kings and queens, to packed houses, yet in the 1930s she was denied the right to sing in her own country’s capital because she wasn’t white. Anderson had been denied the right to perform at Constitution Hall by the Daughters of the American Revolution because of her color. Instead, and at the urging of Eleanor Roosevelt, Harold Ickes permitted her to perform at the Lincoln Memorial, where, on April 9, 1939, she sang before a crowd of more than 75,000 people and a radio audience in the millions. Read more about Marian Anderson and the other Karsh Sitters involved in this story. “Genius draws no color lines” – Harold Ickes, Secretary of the Interior.